One measure of our eternal progress is how much joy we derive from service. 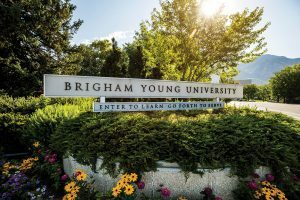 Thus, from the outset of its existence at BYU, the injunction to “enter to learn; go forth to serve ” has reflected a profound truth: there is a connection between joy and service. I first gained some insight into this truth when I was serving as a bishop. It was a busy time of my life with a young family and a busy career. I loved serving as bishop, but I must admit that there were times when I felt a bit overwhelmed and overtaxed, weary of dealing with other people’s problems—even occasionally tired of serving. One year as general conference approached, one of my fellow bishops noted that he referred to general conference as a “bishop’s holiday”—a Sunday in which he did not have to deal with the problems of others. I thought it might be a good idea to expand the number of bishop’s holidays. In fact, the ideal Sunday might be one in which I would spend time renewing my covenants, reading scriptures, praying, and enjoying the company of loved ones without any obligation to serve others. Service is not something we endure on this earth so we can earn the right to live in the celestial kingdom. Service is the very fiber of which an exalted life in the celestial kingdom is made. . . .
As I read this inspired declaration, I was struck with an almost frightening thought. If I didn’t enjoy serving, I wouldn’t enjoy the celestial kingdom. Service is what they do there. I suddenly had new insight into people like President Thomas S. Monson, who, when he had free time, sought to serve others. Service brought him joy. It brings Heavenly Father joy. I have come to believe that one measure of our eternal progress is how much joy we derive from service. And I have told my family that when I get as much joy out of serving as I do from watching BYU win an athletic contest over one particular opponent, I will know that I am finally firmly on the path to heaven. At BYU we strive to provide an education that is spiritually strengthening, intellectually enlarging, and character building, all leading to two things: lifelong learning and service.³ We sometimes fail to recognize that lifelong modifies both learning and service. We often quote Brigham Young to emphasize that learning is eternal: “We might ask, when shall we cease to learn? I will give you my opinion about it; never, never.”⁴ I believe this observation applies with full force to service as well. To paraphrase Brother Brigham, “When shall we cease to serve? Never.” If we stop serving, our eternal progress will stop. I hope you will go forth to serve for the rest of your lives, understanding that we believe in really long lives—even eternal lives. May you find the deep, eternal joy that comes from unselfishly serving others. 1. Stewart L. Grow, My Autobiography (1986), L. Tom Perry Special Collections, Harold B. Lee Library, BYU, p. 128; emphasis added. 2. Marion G. Romney, “The Celestial Nature of Self-Reliance,” Ensign, November 1982. 3. Paraphrased from the Aims of a BYU Education (March 1, 1995). 4. Brigham Young, in Journal of Discourses, 26 vols. (London: Latter-day Saints’ Book Depot, 1854–86), vol. 3, p. 203. 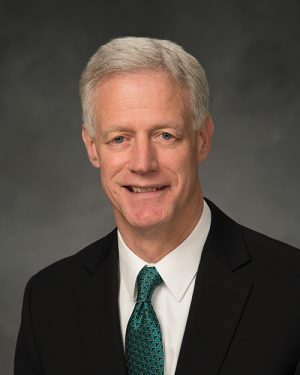 Kevin J Worthen is the president of BYU. This essay is adapted from a commencement address delivered Aug. 16, 2018.